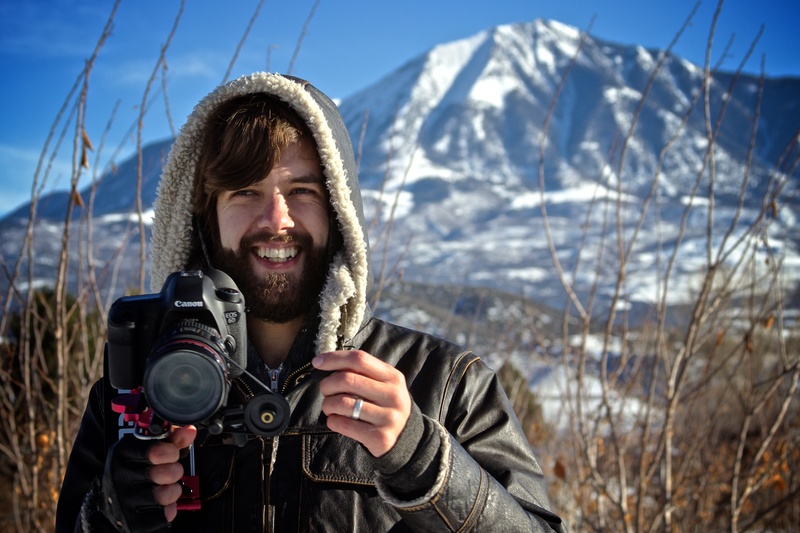 We recently caught up with aspiring film maker and Inside The Edit Alumnus, 26 year old Josh who lives with his wife and two young boys in the mountains in beautiful Colorado, USA. Josh spends his spare time writing scripts and shooting films. We spent nearly two hours chatting about movies, film scores and where he gets his creative inspiration. ITE: Hi Josh, tell us about your background. 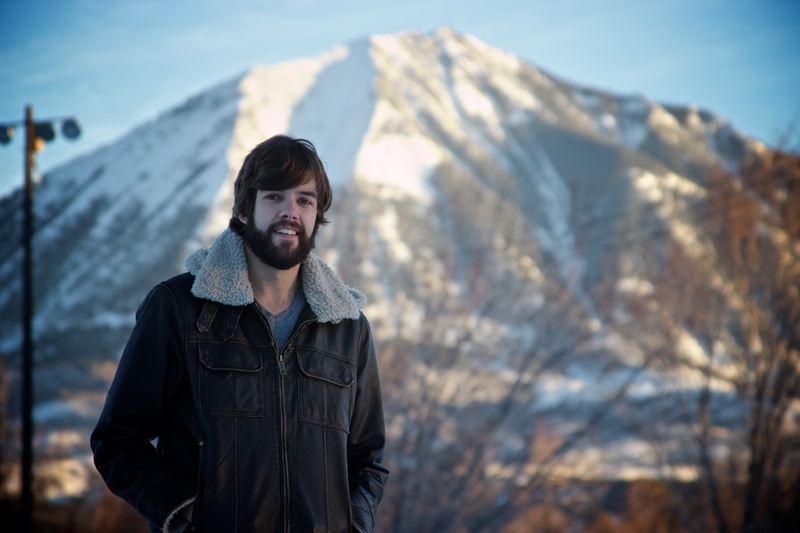 JOSH: When I was about nine years old we moved up to this part of Colorado and I met a guy who wound up being my best friend. He introduced me to filmmaking. I’d loved movies but I’d never stopped to think about how they were made. I think I was around twelve when I was experimenting with video editing. Time went by and I started working with iMovie and after a while things began to click. In that time I was shooting videos here and there, but I was very intrigued more and more by the process of editing. In 2010 I got married and I wanted to start directing. I moved to Albuquerque, land of Breaking Bad, and I met a lot of people in the industry there. It’s a lot different from Hollywood. I started meeting more creative people and started to learn more about Final Cut. I wound up buying a Cannon HDSLR and that’s mainly been the camera that I’ve been using since then. I find myself as a convoluted individual who wants to do everything at once. I want to write the story, I want to direct it, I want the shot just like this and I’ve had to start learning that I can’t do everything. So in a sense I do have to find where my passion is at. But I want to have a well rounded understanding of all of it. Right now I am doing all of it except maybe a friend here and there I can grab to hold the boom mic. I do have two friends and we’ve started putting some things together as far as being a team. So we’ve been annoying my wife and hanging out at my place and reading through scripting books and discussing things. So that’s kind of where I’m at right now. ITE: What type of movies or documentaries do you like? Any specific genres or directors? JOSH: I think I’m probably just like most kids who when they see Star Wars or Indiana Jones you’re just automatically like a Spielberg kid! I grew up watching oldies. Things like Casablanca, The Maltese Falcon, anything Hitchcock. Lately thought, the last couple of years a Christopher Nolan fan. I really started to attach myself to him after watching Inception and then the Dark Knight Trilogy and then I just went to see Interstellar and I thought ’Oh my gosh, Incredible’. He’s the pinnacle of storytelling. I am a fan of documentaries as well. Exit Through The Gift Shop is pretty cool. And Restrepo, I remember when that came out I thought I really love this. I feel that documentary is a more pure form of storytelling since you’re documenting real events instead of a written script. But I have massive appreciation for both genres. ITE: Do you think about music when you’re shooting or editing. Do you have any specific musical influences? JOSH: Music is I think the biggest influence in editing. Editing music videos is incredibly natural to me because of the synchronisation, the beats, when the camera is visually representing how the music feels at that moment and the cut just adds to it. I always feel a special ‘coming to life’ when I edit one. There’s just something in the music that absolutely lends itself to the camera and to the edit. And so when I’m filming things there’s often a score in my head. Or even a song that I’ve already picked out ahead of time. A lot of times I hear a song and I see a story or I see shots or even colours in grading and that is probably why I feel that music and editing go hand in hand. ITE: Are you currently working on anything specific? JOSH: Yeah, I am. Along with doing the Inside The Edit course I’ve been reading a book called Save The Cat by Black Synder. It’s all about storytelling and scriptwriting. Acting is not my strong point and none of my friends can act so that lends us to documentary. You still have to tell a story and I think that that is innate, I think we’re all storytellers. So I thought what can I begin telling a story about. The town that we live in, when it’s not covered by snow, is a beautiful orchard town. There’s apples and peaches and cherries and pears and apricots and nectarines. There’s vineyards and breweries, it’s just glorious. So it dawned on me the other day that we’re in the dead of winter and right now what goes through a farmers mind? What are the thoughts and musings of his heart. I have a friend who is a farmer. I often think ‘what does he think about during these moments’? When everything is just dead and white and almost monochromatic black and white outside, desaturated. So I’ve started to piece this idea together recently, scripting my questions in acts one two and three of a fifteen minute documentary. Ultimately how things feel bleak to even though what looks dead on the outside underneath there’s life. So if I can ask the right questions and draw that out of him I would love to make that. We have a little film festival here in our town so I’d love to enter that. So that is something I’m working on right now. 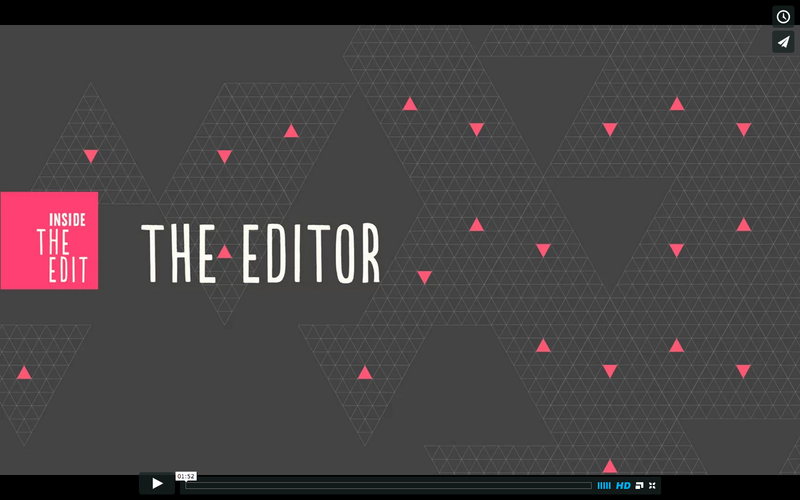 ITE: How did you hear about Inside The Edit? JOSH: It was August, I was visiting some relatives in Denver and I was on No Film School. I get that email every week and I saw something about creative editing and I thought that sounds a lot better than lynda.com, I’ll check that out. I started reading about it and then I remember seeing the preview video, The Editor. I remember watching that and thinking oh my gosh I’m dumbfounded, this is just incredible. I watched it probably four or five times, I was just like I love this, it’s so clean, so simple yet it tells a story in such a powerful way. It was just like “this is huge, this is the beginning of a new era for me”. I know that this is a fundamental stepping stone in the process of getting to where I want to be, working with video. Even if I don’t know what exactly my passion is I know it lies in storytelling. So that’s the kind of story of how it happened and I’d do it all over again. ITE: Have you done any other edit training before? JOSH: I’ve watched Lynda’s tutorials and Mac Pro Video but both of them, at least from what I’ve seen, are buttons, commands, none of them are the creative theory behind editing like this is and I think that’s what drew me to this. I was telling one of the guys I’m working with and he said “What program does he use?” And I said “I think I saw Avid at the top but I didn’t recognise it.” And he said “Well how do you know what you’re doing?” and so I told him that it was more about the storytelling than keystrokes, commands, pulldown windows and so on. Ultimately how are you going to assimilate this footage into something that is cohesive, gets a message across and tugs at your heartstrings at the same time. So nothing like this, absolutely nothing like this. ITE: What attracted you to Inside The Edit initially? JOSH: I was sold at that promo! I thought “that makes sense”. It makes sense visually, there was no interview, there was no sync, there was nothing it was just graphics and lettering but the way that it was told was so creative. I’m still wondering how you did that! I loved it. For me thats what initially attracted me. Part of it was also that I have been wanting to go to film school for a long time. 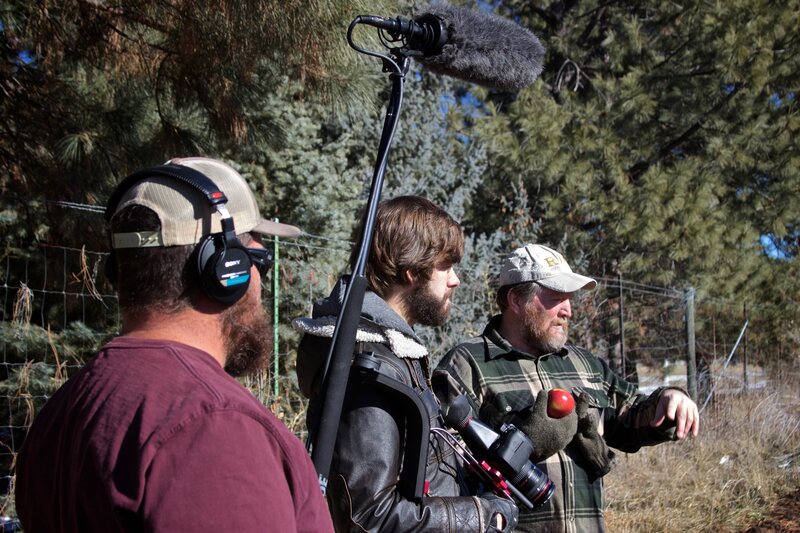 When we lived in Albuquerque I thought I can go to film courses here. My wife always encouraged me, she’s in education herself and so she’s constantly encouraging this sort of thing. But I thought it just didn’t seem right, it doesn’t feel right, I don’t want to go and sit in a classroom. It felt too limited, it felt tied down, it felt too subjective to me to want to do that. But the things I was hearing about from my friends who’d gone through film school in Albuquerque they were just like don’t got to X, or X is way too expensive. I thought I’d really like to do something at some point so I watched Mac Pro Video, I mean heck, you can get on YouTube and learn any button in five minutes. So when I saw the theory of creative storytelling on a timeline, when I saw that, that was the appeal. ITE: How has Inside The Edit helped you so far? JOSH: So far I guess on a number of levels. Practically for sure it’s helped me. When we went out to Denver to visit my relatives they asked to to bring all of my video equipment to help them make a video. I couldn’t tell them no, they’re my in-laws! I shot this video for them, they’d scripted it out and we spent about six hours on it. I came home and started editing it. I got a good rough cut together about two and a half minutes long. All of this was before Inside The Edit. And then I forgot about it. Then my in-laws came for Christmas and said “Hey, whatever happened to that video?”. And I said “I just need to finish it up, there’s a couple of things left.” And I watched it through again and it was amazing because with everything that I’ve seen, and I’ve probably been able to absorb about 3% of Inside The Edit so far, it changed everything. I felt that the end production after Inside The Edit, after I started fine tuning details, I felt like it came to life. It was such a joy and such a pleasure and I was so proud of what I’d done that I actually put my contact details on the end slide. After watching Inside The Edit I was making decisions that I was confident in and the end result was a production I’m confident in and proud of and I know my next production is going to be a lot better. It’s inspiring to know here’s what I did with so little and just the little bit that I’ve absorbed has changed what I’ve done. So it’s absolutely changed on that level, the practicalities, and just understanding more how to tell a story, how to hide problems, how to enhance the performance of others. But on other levels too. It’s given me a renewed vision, I think, for my life. And maybe that sounds cheesy and very broad but I felt like this is what I want to do, this is what I want to pursue, this creative storytelling. And seeing someone else whose done that shows that wow, it’s possible, it can be done. And not only can it be done but I can do it knowing that I can be proud of and confident in my productions. So I do feel like I’ve had kind of a renewed vision. I’m nervous but I’m very excited, excited to see what happens and what comes from here. And I don’t think I’d be in this spot if were not for Inside The Edit. I feel like this has definitely made a big change so we’ll see what happens. ITE: What makes Inside The Edit different from other courses? JOSH: Well none of it is Command C or A key or B key. Inside The Edit doesn’t focus on whether Avid is better than Final Cut, it’s not Mac versus PC, it’s not Control C versus Command C because right there you start drawing the line and you start dividing people. But you’re not focusing on those dividing factors you’re focusing on factors that bring people together. You’re communicating to a broad audience. You’re using a language in Inside The Edit that applies to users of any platform, to users of any program. I think anyone in post or production could benefit from so many aspects of this course because you’re starting to understand what is essential to the story on so many levels. You’re communicating in a language that’s relevant to everyone. Because ultimately what is everyone here to do? They’re hear to tell a story. And that entirely sets Inside The Edit apart from anything else. There’s nothing else that does that. 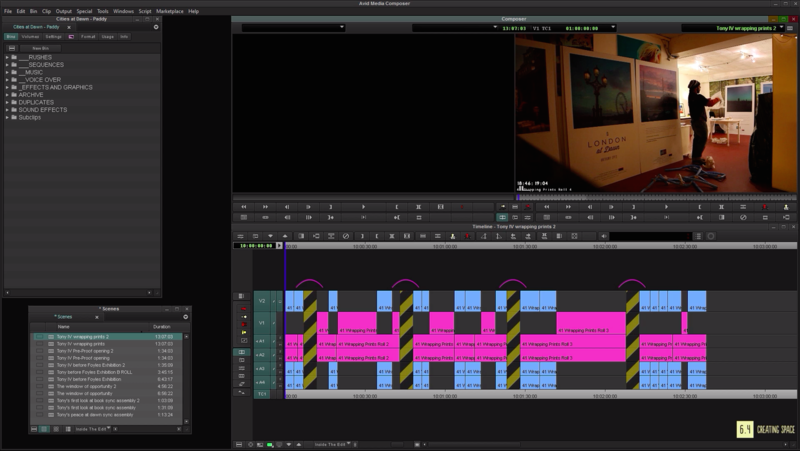 But also the look of Inside The Edit, the way that the clips move on the timeline. It’s beautiful, I love to watch it. 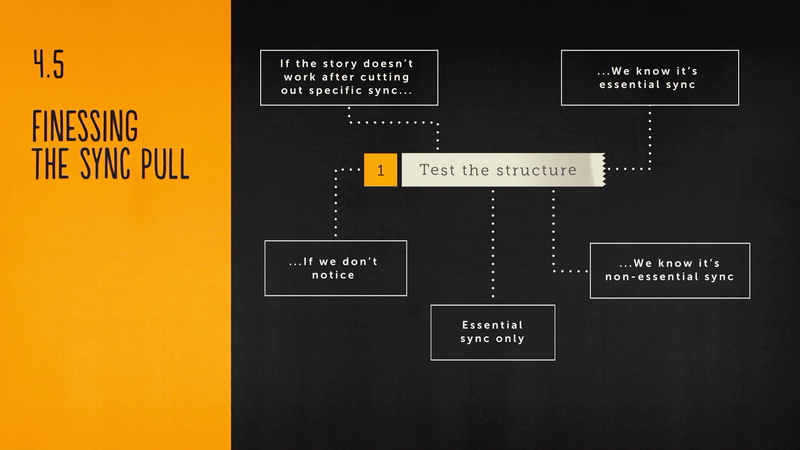 Even on the main slides when things pop out graphically, the format is just right up my alley. The visual structure of how things are portrayed is just incredible. Every episode I can’t wait to watch! Visually it’s so entertaining and that might sound cheap to some people but I don’t want to just watch some guys mouse moving around an edit and just having a little circle clicker, I want to see something that is alive. I think thats exactly what you’ve done. The way that Inside The Edit starts, so minimally you don’t have to skip anything you don’t have to feel like I know all this, I’m just gonna blow past the first chapter. It’s just like “this is intriguing” and I’m going to watch this. And then I’m going to watch it again and then I’m going to watch it again and again because I want to fully appreciate it. It’s not like one of those things on Lynda “this is a camera, camera’s have lenses and memory cards.” Oh sweet I didn’t know that! Of course I knew that, come on give me something I can work with here! Instead this is something I can work with. Even those baby steps they still feel invaluable and absolutely necessary. The beginning is fascinating and not anything you fell like just breezing over. So I’m excited by how it continues to get more layered and deep rather than being just “these are memory cards, most DSLRs have batteries”! That stuff is just annoying but Inside The Edit has been an entirely different experience. ITE: Is there any specific features that you like in Inside The Edit? JOSH: You know I’ve always like behind the scenes stuff and so that sequence where Anthony is saying “It’s just amazing, the sun comes out and it so beautiful and everyone is missing it” and you then showed the behind the scenes of him talking, blabbering for a minute and a half just like I do! Blah, blah, blah! You took just the ultimate voice of what he was trying to say and cut out a lot of verbatim and the way it was put together with the B Roll, it was just like goose bumps, it brings you to tears. It was incredible to see. And to go back and watch how you did that, you took something that I probably would have ignored and you created it into something that was just incredible. That was one of my favourite things that I’ve seen so far. I definitely love the blackboard look where all the ribbons come out and unfold, I just nerd out on that! I do love the Watch Me Edits as well because hearing the commentary “ok, right about there looks good” or “I’d rather not have that..” I really love that because you’re setting a standard for what looks good and you’re explaining it. I also love how you make it humorous too, how you're not afraid to talk about some of Anthony’s or his wife’s behaviour! ITE: Yes, all the things only us editors see! We never show these things to the audience but this is all of the crazy stuff we see every day! ITE: Finally, what’s you’re goal for 2015? JOSH: My first goal for 2015 is to shoot a short 10-15 documentary. I don’t think I would have considered that before Inside The Edit. I want to see where it goes from there. Storytelling is what’s it’s all about so at the end of Inside The Edit I don’t know what to expect. I know what I’ve found so far, I can’t wait to just keep re-watching because every time I pick up on something new. I feel like it’s going to enhance the moments that I spend behind the camera. Just like Christopher Nolan said “When you’re looking through the glass, you’re making those edits in your mind.” I know what I’m going to do on the timeline when I get this SD card plugged into my Mac because I saw this or I saw that. I’m excited to be behind the camera after and even during Inside The Edit but ultimately my goal is to become a filmmaker, thats why I’m doing this, I’ve had this dream since I was about 9. It’s to be autonomous as a filmmaker and is to have assimilated a team and to understand especially this aspect. I love to direct, I love to communicate, I love people and I love the relationships. Doing what you love trumps all.